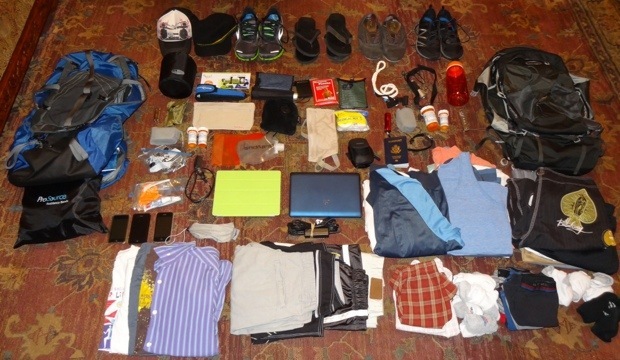 Packing for a year long trip around the world is not an easy task. Imagine trying to fit all the stuff you use on a daily basis into one small bag that you carry on your back. Although it wasn’t easy, we found a way to do it. The first step for us was choosing a backpack and then deciding what to cram inside. We wanted to choose a bag with enough space for our items but nothing too large or heavy that would prevent us from being mobile. The compromise was a 55L backpack. After months of planning and debating, here is the list of what we packed. 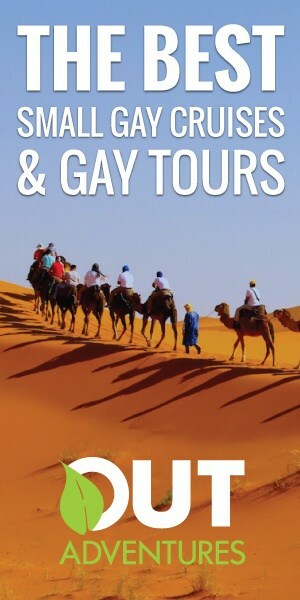 Note: This post was first written in May 2012 but was updated in May 2013 to reflect what we actually kept or added to our packs while traveling. I’ve made all updates in red so you can see differences between before and after our trip. And don’t forget the ridiculous amount of pills you’ll have to take with you! After two long nights of organizing, we managed to pack all this stuff and still have room to spare. I’m taking bets on how long David can go with such a small choice of outfits! 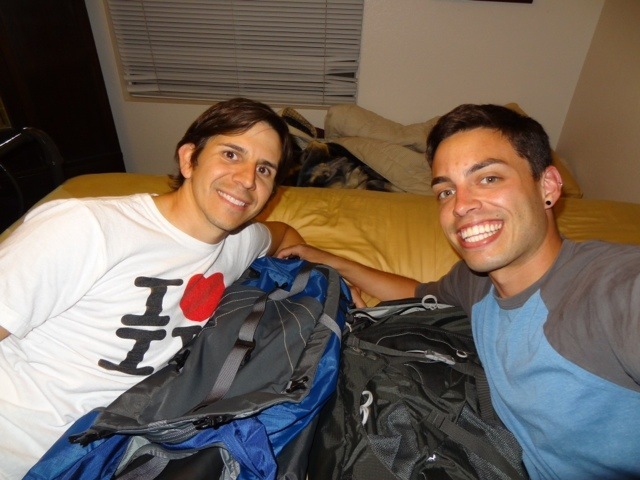 (Of course, I was right since he ended up buying 3 more shirts, extra pants and shorts) Deciding to backpack around the world is the best decision we have ever made but packing for the trip was one of the most difficult tasks! You can buy your own in Peru. Austin looks so cute in that picture! You both look very happy. Many blessings on your journey! By the way, Uncle Pat is enjoying following your travels, I send him your updates and pictures in my letters. Great! I’m glad he can read them. Hope he enjoys it!